Details: Fanlight window on south elevation above second story; shingling pattern on second story. Significance: Designed in 1894 by architect John T. Long for Alexander Clark, this double house originally stood at 928 Judson Avenue. A permit taken out in 1926 by John Foster enabled the Free Methodist Church to move the house to its present location. One of several handsome double houses found in Evanston; clapboards (originally) on the first floor and shingles on the second, lend the house considerable visual texture. Interesting design details such as the corner polygonal tower incorporated into the massing of the house, the gambrel roofs, and ocular gable windows make it particularly distinctive in terms of design quality. Historic Features: Wood shingle second floor; gambrel roof shape on south elevation; gambrel window gable on west elevation; two story polygonal window bay on south elevation; roof line triangular dormer heads on south elevation; fanlight above second story windows on south elevation. Alterations: Windows have been replaced with vinyl clad; vinyl siding on first floor, all elevations. Architect Source: Statement of Significance at EHC, 3-ring binder. Exterior Alteration Permits: 12ROOF-0342: Tear off and replace shingle rf; 03IER0000000067: Interior modifications 1st and 2nd flr and por repair. COA Info: 12PRES-0220: Replacement of asph shingle rf with new asph shingle rf - complementary color to existing rf. 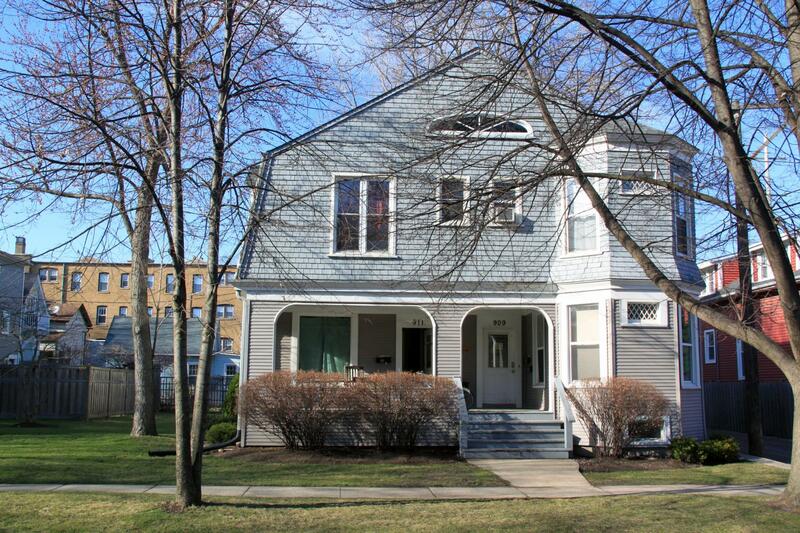 Historic Info: Source: Evanston History Center Archives (3-ring binder) STATEMENT OF SIGNIFICANCE: A5 Designed in 1894 by architect John T. Long for Alexander Clark, this double house originally stood at 928 Judson Avenue. A permit taken out in 1926 by John Foster enabled the Free Methodist Church to move the house to its present location. Its scale, compared to the other structures on the street, makes it quite clear that the building was not originally located here. 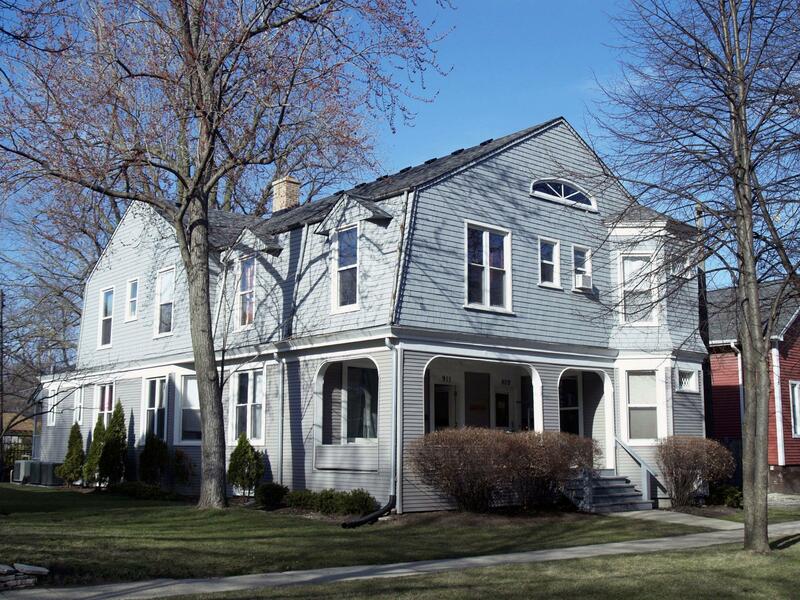 One of several handsome double houses found in Evanston; clapboards on the first floor and shingles on the second, lend the house considerable visual texture. Interesting design details such as the corner polygonal tower incorporated into the massing of the house, the gambrel roofs, and ocular gable windows make it particularly distinctive in terms of design quality.